Dr. John Roehrs is a pulmonologist from Arizona, Scottsdale. 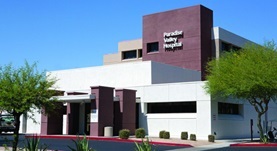 He is affiliated with many hospitals in the area including Phoenix Veterans Affairs Health Care System and Paradise Valley Hospital. He got his medical degree from University of Nebraska College of Medicine and had been on the practice field for more than 20 years. 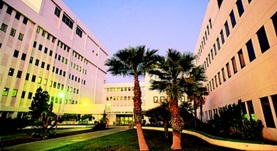 University of Southern California - LAC+USC Medical Center was the center where he completed an internship, followed by his residency in internal medicine. Finally, he completed his studies with a fellowship in pulmonary disease at University of Texas Health Science Center. Dr. John Roehrs has contributed to 4 publications. Sleep talking and noisy grinding. Schedule an appointment with an orthodontist. Roehrs, J.D. ; J Clin Sleep Med. 2006 Oct 15. Nocturnal wandering in a middle aged man. Roehrs, J.D. ; J Clin Sleep Med. 2006 Apr 15. Roehrs, J. D., Rogers, W. R., Johanson, W. G.; J Appl Physiol. 1981 Apr. Cancer metastatic to cancer--metastasis to a lymph node with lymphocytic leukemia: a case report. Roehrs, J. D., Schenken, J. R.; Nebr State Med J. 1971 Aug 01.